Nurses Week is a celebration of compassion, courage, and love. Nurses are honored for all that they do. 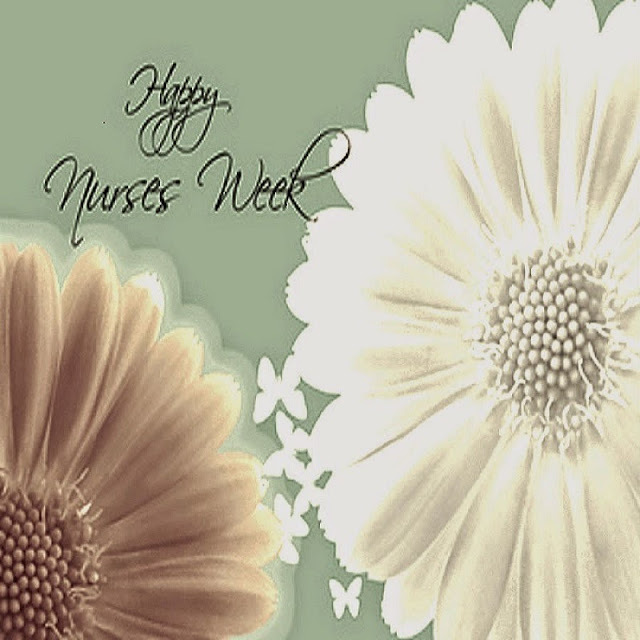 But, what do nurses really feel about nurses week? Have you ever wondered? What are your thoughts about this celebration? As a nurse myself, I can honestly say that the first thing that comes to mind is, "Do I get an extra day off?" Wishful thinking right? Everything we do as nurses comes straight from the heart. We do what we do because we care. We go an extra mile because we want to. And we don't even call it an "extra mile". We call it, "it's what I do". We take care of our patients well because they are the reflection of who we are as a nurse. And if things turn for the worst, we give it all we got to try to save a life. One nurse on our floor always says, "I'm saving lives. One patient at a time!". By keeping our patients safe at all times, is keeping them free from harm. And when they feel secure, they feel love. And we can only hope that this will lead to the road to recovery. Nurses give comfort and courage. We also nurture and listen. We give comfort to the ones who are in pain, tired, hungry, and scared. We encourage hope to the ones who are in pain, tired, hungry, and scared. We nurture the natural inner powers of the ones who are in pain, tired, hungry, and scared. We listen and acknowledge pain, hunger, and fear. These trivial moments in nursing is what makes the profession so beautiful. Its beauty comes from within. No amount of nursing books can even begin to teach this concept. This is because there are no words to explain the joy it brings to a nurse and his or her patient. Favorably a lot for the nursing students have been mentioned herein with some efficient details and hopefully will bring around the positive thoughts and ideas for the entire future. Nurse is a very difficult and emotional profession. You see a lot of people with injures and diseases every day and must help them anyway. This work requires a lot of зatience, stamina and self-control together with total mental health. Before choosing this path please read all testimonials on Freshessays and make your decision right after this.